If you haven’t already updated Splatoon 2 today with the new 3.0 update that Nintendo dropped on the game overnight, you might want to jump on that since the update contains a chunk of old and new content, along with some new awesome features. The biggest addition tot he game is the new Rank X title that players can earn if they rank up high enough. 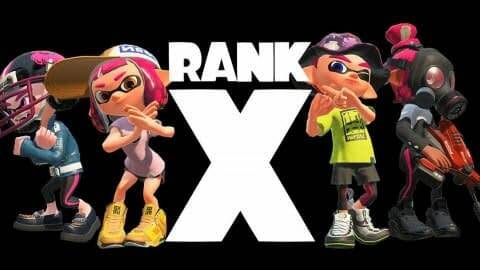 Right now if you’re ranked S+10, you’ll be registered as X after the update is added, which will pair you with other Rank X players for what we can only assume will be a new best-of-the-best level fighting. Nintendo will also be showing the top 500 players globally in the Rank X category every month, for those of you who wish to show off your skills, and if you don’t meet the Rank X requirements, you’ll be bumped back down to S+9. The new update, which you can check out the full details over here, also includes a bunch of new gear for the shop which includes items from the first Splatoon game, two new songs in the game, Callie from the Squid Sisters dropping in on Tentakeel Outpost after you fulfill a certain requirement, changes to Splatfest and how the voting will go, and so much more. This is clearly a big update to tide you over until the Octo Expansion is fully implemented down the road. Some of the changes look awesome, some are just here for show, but overall they make a fine update to Splatoon 2 you need to add.